Do you have a problem with sleep? Well, I had so I decided to find out reasons and solution. There are many reasons. It can be caused by stress, jet lag, a health condition, the medications you take, or even the amount of coffee you drink. Insomnia can also be caused by other sleep disorders or mood disorders such as anxiety and depression. Here in this article we will discover which essential oils help you sleep better. Sleep is as essential as food and water for our health and survival. We can expect to spend approximately 25 years of our lives sleeping. Some animals never sleep, some animals can go extended periods of time without sleep and without apparent negative consequences such as dolphins, yet some animals for example rats die after two weeks of sleep deprivation.  Why do we devote so much time to sleep?  Is it absolutely essential that we sleep?  Studies show that adults between the ages of 26-64 need seven to nine hours of sleep each night, while those over 65 need seven to eight hours. We devote a very large portion of time to sleep, and our brains have complex systems that control various aspects of sleep. There is some evidence to suggest that sleep is very important to learning and memory.  If you’re looking for a natural remedy to help you drift off and stay asleep all night, then the calming, relaxing aromas of essential oils could be the solution.  Essential oils are the best thing for your good night sleep.  Essential oils can be a highly effective way to promote sound sleep. The practice of using essential oils for rest and relaxation is nothing new and spans across many cultures. 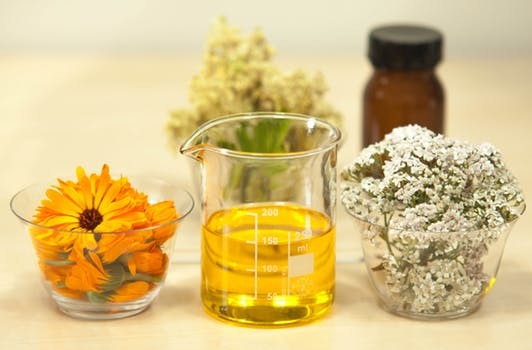 For using Essential oils you just need to dab a bit oil on your wrists and rub them together and take a bunch of deep breaths, or you can add them to your bath or release the scent by buying candles in those oils. There are a number of well-known essential oils. When we use them correctly, we can get help promote a restful night’s sleep. The key to essential oils is to be sure that you are choosing only high-quality oils and that you know how to properly administer them. It is also very important to remember that what works well for one person may or may not work well for you – we are all unique and process things a bit differently. Lavender oil is at the top of the list. The researchers found that lavender increased slow-wave sleep, the very deep slumber in which the heartbeat slows and muscles relax. You just need pure lavender essential oil. Sprinkle a few drops on a piece of tissue and tuck it under your pillow, or use an aromatherapy diffuser. Lavender oil is my favorite essential oil. I really like its smell so I use it daily at night and it really works for me. Vetiver essential oil is distilled from the roots of the plant. Vetiver is one of the most soothing and relaxing essential oils out there. This rich and earthy oil helps promote sleep by relieving anxious feelings and anger. It’s beneficial for fighting mild acne and oily skin too. Vetiver has a fairly distinct aroma, so it is best to use in combination with other essential oils. This essential oil has a very light floral aroma and is known for its relaxation properties. For better results, you can use this in a diffuser or apply a couple of drops diluted in a carrier oil to the bottom of your feet before bed. You can also add a few drops to your favorite shampoo, conditioner or skin moisturizer. Ylang ylang is a wonderful choice if you are looking to improve the quality of your sleep. It’s very floral and smells a bit fruity. Ylang-ylang essential oil has sedative effects that reduce hypertension, heart rate and help you to sleep. Bergamot is a citrus fruit and the oil is cold-pressed from the rind or peel. Most citrus oils (like grapefruit or wild orange) tend to have a bit of a stimulating effect, but bergamot is different. It’s bright, yet calming at the same time. It’s really good for your good sleep. One thing needs to remember that bergamot oil is extremely photosensitive, which means it can make your skin very sensitive to the sun so avoid it applying bergamot oil before going outside or only apply to covered skin. This special essential oil doesn’t just have an amazing scent, sandalwood can also have an effect on overall well-being and mental health. It is great for helping you to go to sleep by calming the mind and body. It also works as a mild sedative and muscle relaxer. I love to use sandalwood oil at night before going to sleep. Marjoram essential oil can help you to sleep. Sweat marjoram essential oil is for helping with sleep disorder because it comes with a calming smell that reduces hypertension and eases the nervous system and it’s excellent for creating peaceful sleep. Cedarwood essential oil supports healthy function of the pineal gland, which releases melatonin that is body’s natural sleepy hormones. Earthy, woody smell of cedarwood essential oil can calm your brain down after a busy day. I like to use it topically or put it in my diffuser. It blends well with lighter, floral oils, or is great on its own, too. This oil has a unique woodsy scent so If you aren’t keen on the smell, mix it with lavender and apply to the bottoms of feet. Then cover with socks and melt into bed. Orange essential oil help to reduce your anxiety so you can sleep. All citrus oils have uplifting properties that also help with depression. It is important to note that citrus oils may cause photosensitivity when exposed to light within 12 hours of use. For this reason, it is best to use at night if you are going to put the oil on your skin. Place a couple of drops diluted in a carrier oil on your abdomen, use in a diffuser or make a soothing skin cream by mixing ½ cup coconut oil with 15 drops orange oil. Moisturize your skin before bed to promote a restful night’s sleep. Valerian can help you fall asleep faster and stay asleep. This oil has a calming and grounding effect and can be used topically, applied to the bottom of your feet or inside of your wrists. Vanilla oil has a sweet and luxurious aroma. 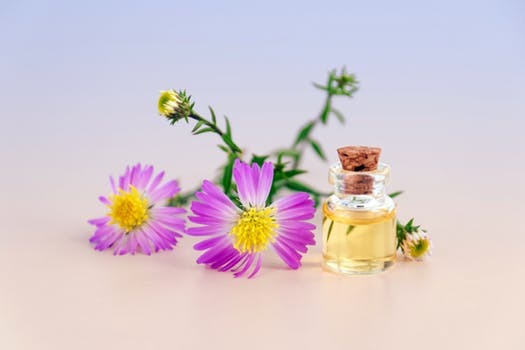 If you’re feeling anxious or stressed, and you have sleeping problems then try the vanilla essential oil and try using beauty products containing vanilla before bed. vanilla essential oil also contains many medicinal properties that can serve to provide many beneficial effects for your health. Studies have shown that vanilla can calm your mind and ease breathing problems. For better quality sleep, try sweet-smelling jasmine. Studies have shown that it can reduce tossing and turning, make you feel less anxious and help you feel more refreshed when you wake up. Geranium With an aroma that smells like roses can reduce stress and it has a sedative effect. This means that if you wake up in the night, you should find it easy to go back to sleep again. A relaxing bedtime routine can help you drift off. A warm shower or bath is a soothing way to unwind, swapping electronic devices for a good book can help your mind to switch off and the best essential oils for sleep can change your life and help you get the rest you need.